See videos at the bottom of this page. 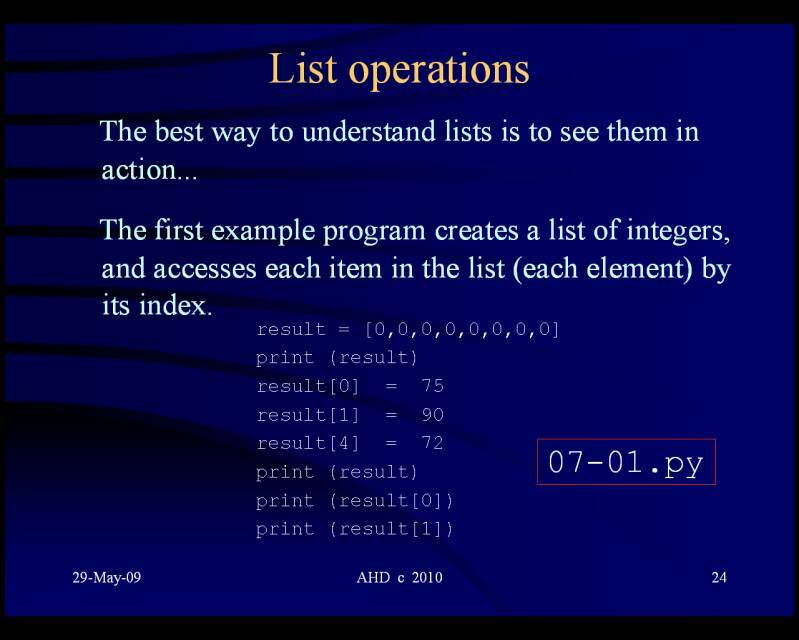 Most real-world Python programs contain lists. so that you can treat them as a group. so that you can process it later, to find the average score for the class. 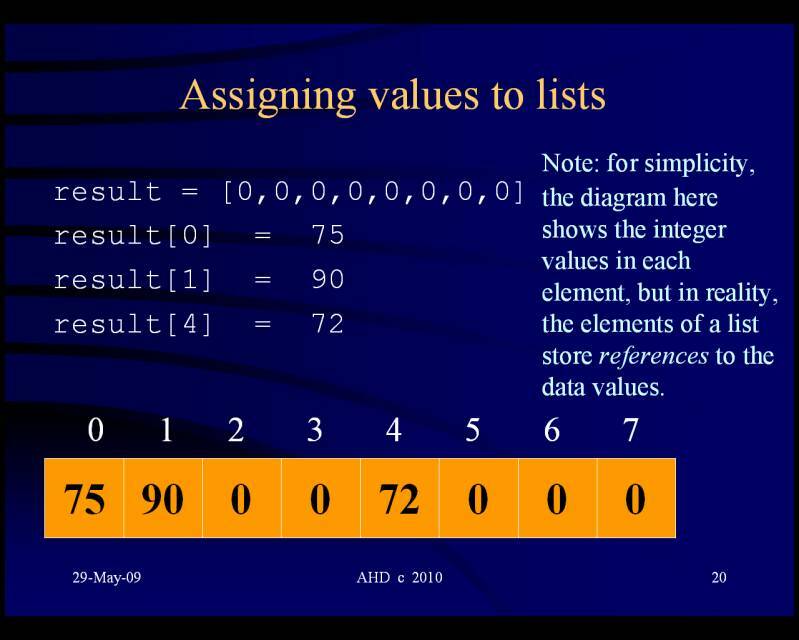 Lists have left-to-right positional ordering, with index capability. the first, second etc, moving from left to right. (i.e. 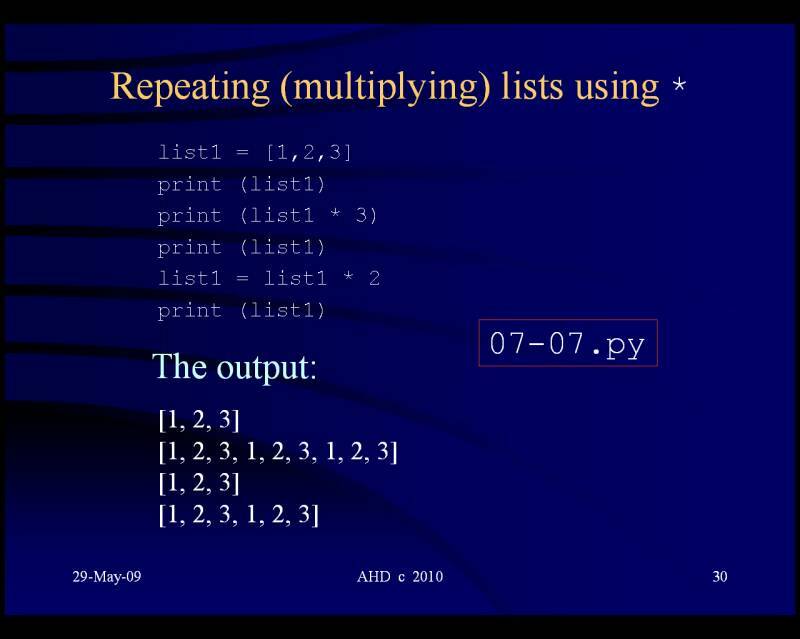 mutable with no need to create another object (as with strings). 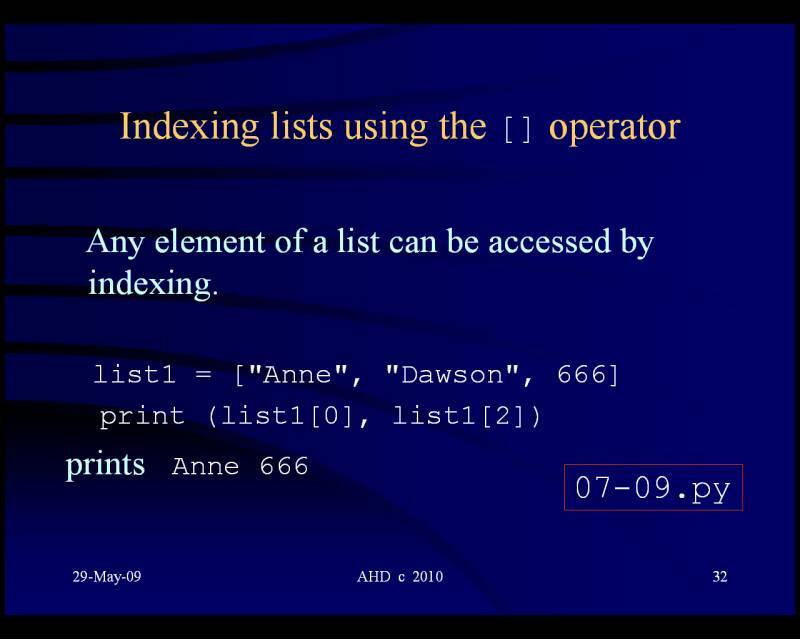 referred to by the index number. i.e. 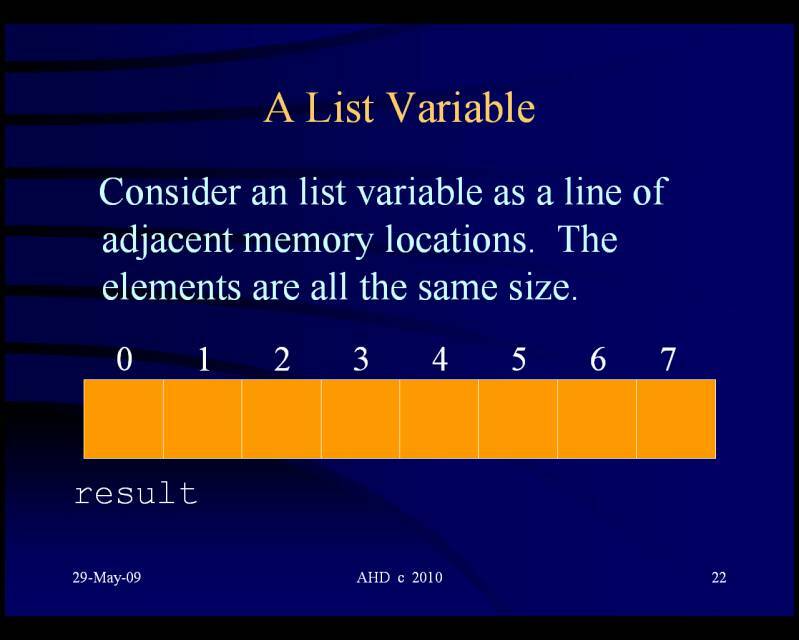 a single list can contain a variety of object types, including lists. perhaps the names and scores of students in a computer class. 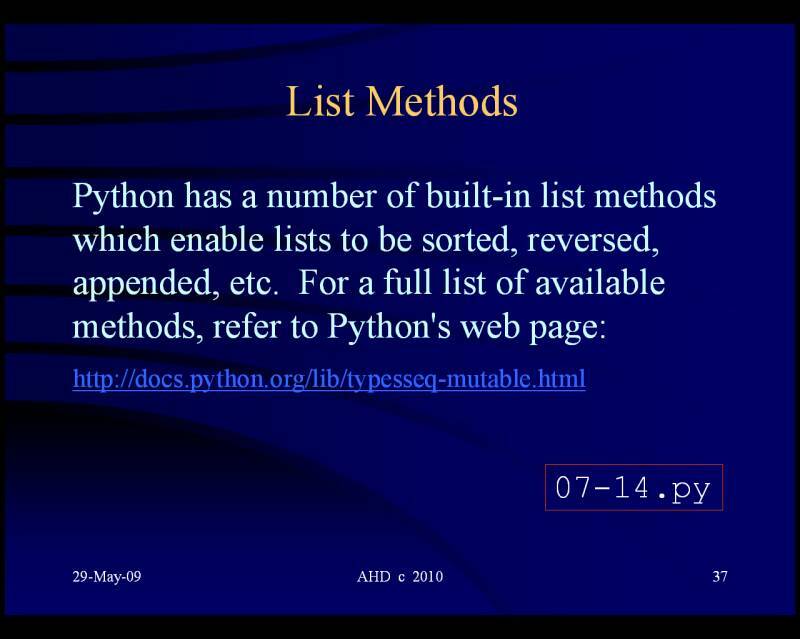 Technically, Python lists contain zero or more references to other objects. 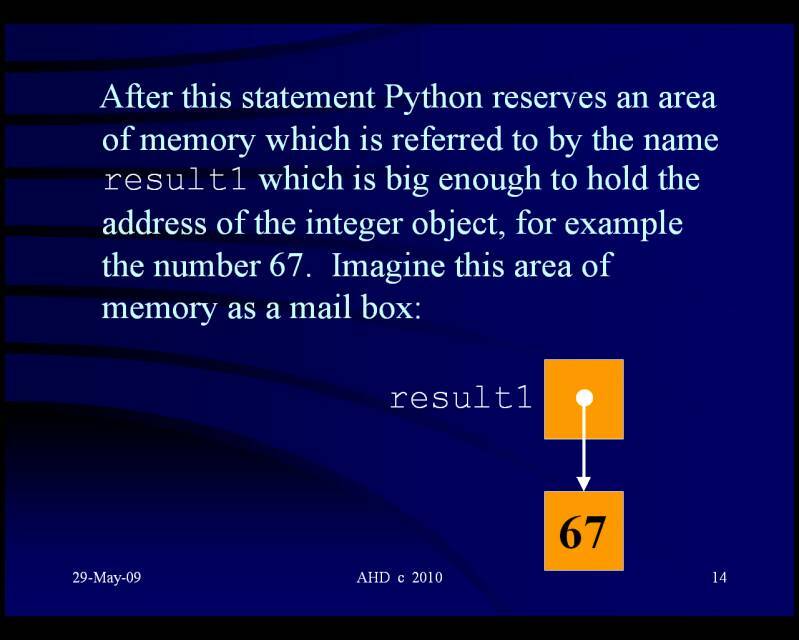 just a reference (address of - i.e. location in memory) to them. 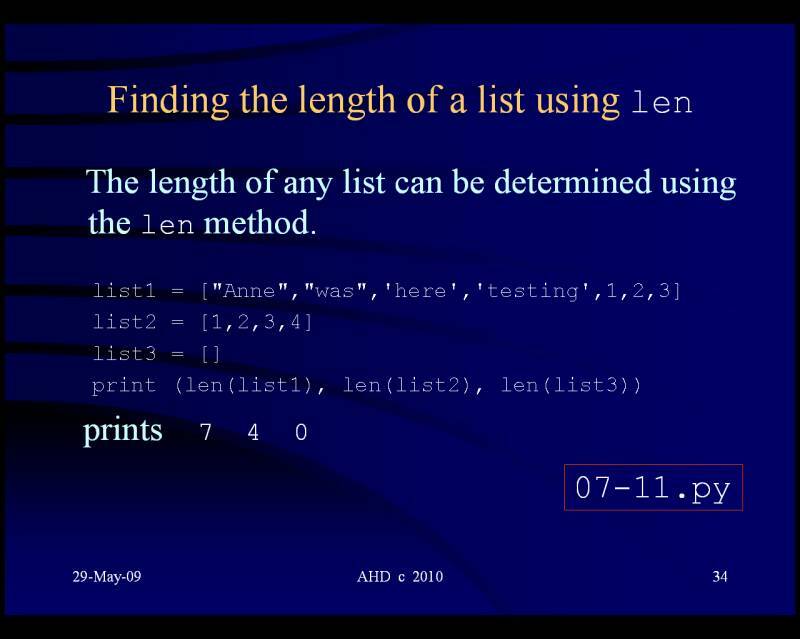 Python lists are essentially arrays of pointers. 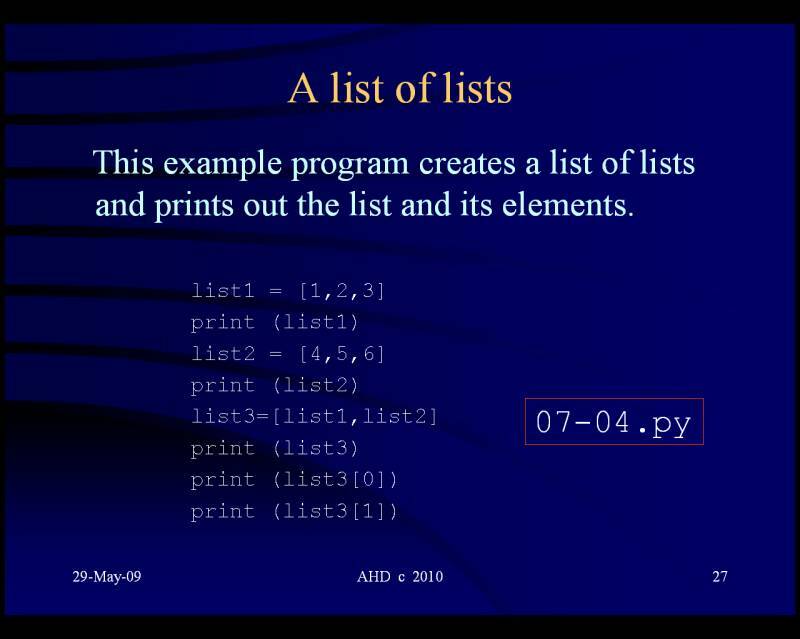 They are implemented as C arrays inside the Python interpreter. 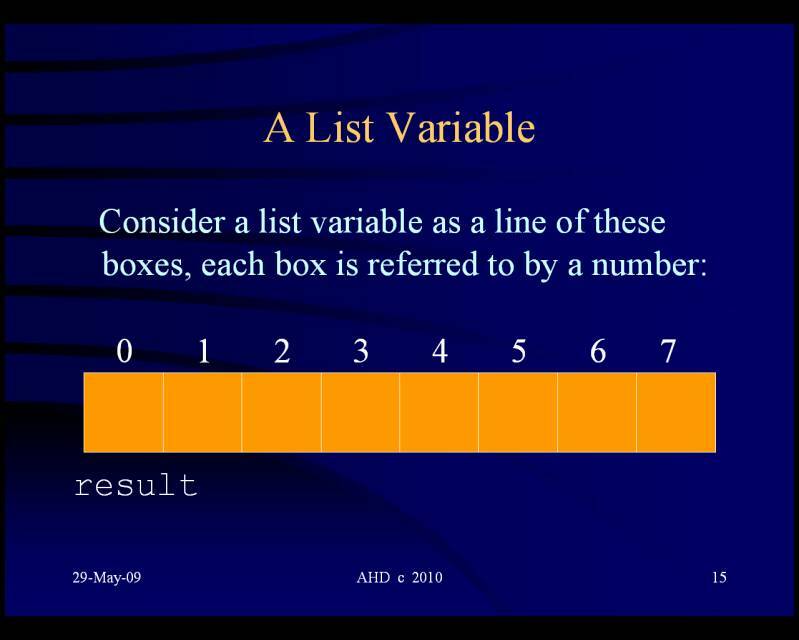 A variable (or simple variable) can take a single value. - and they don't need to be all of the same data type. Say you want to store the exam results of 30 students. this method would be acceptable. of each student in the college, not just one class? 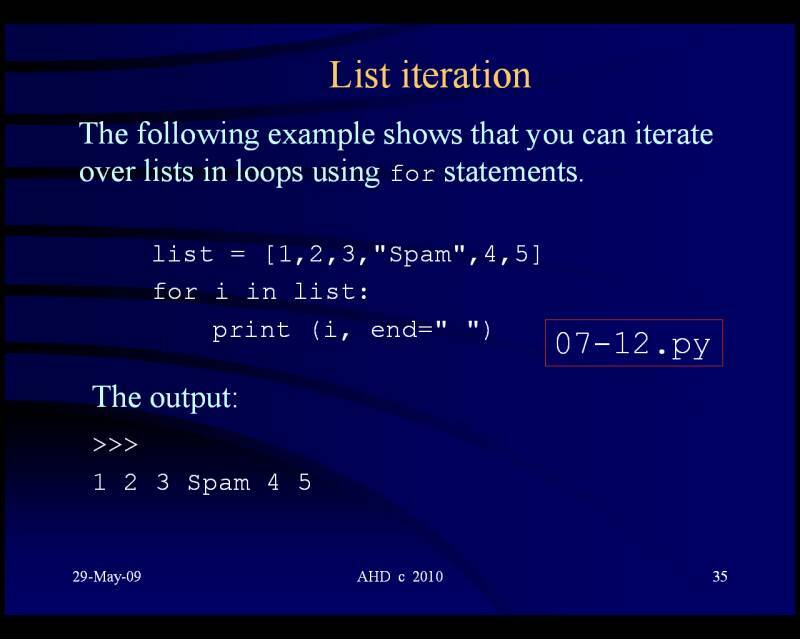 be a very tedious and error-prone process. and type 2000 assignment statements. 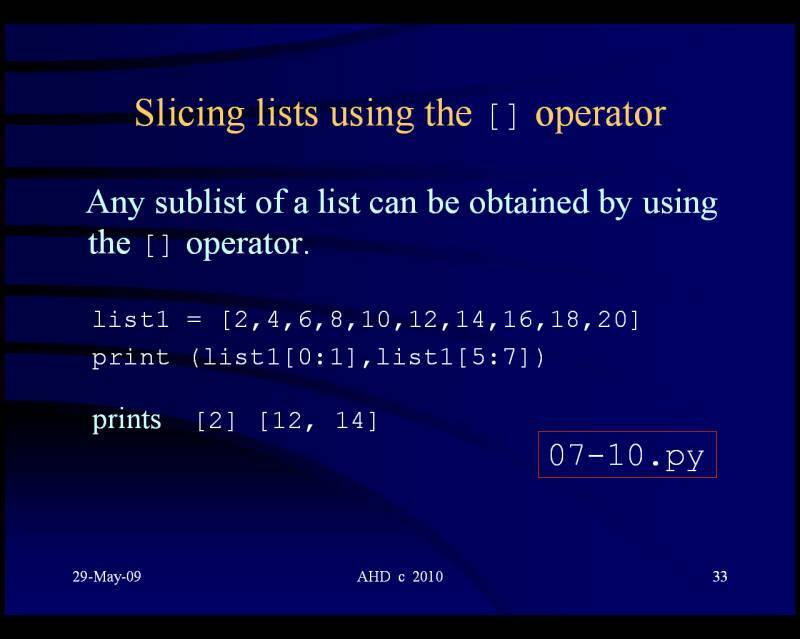 Fortunately, by using a list, we get around this problem . 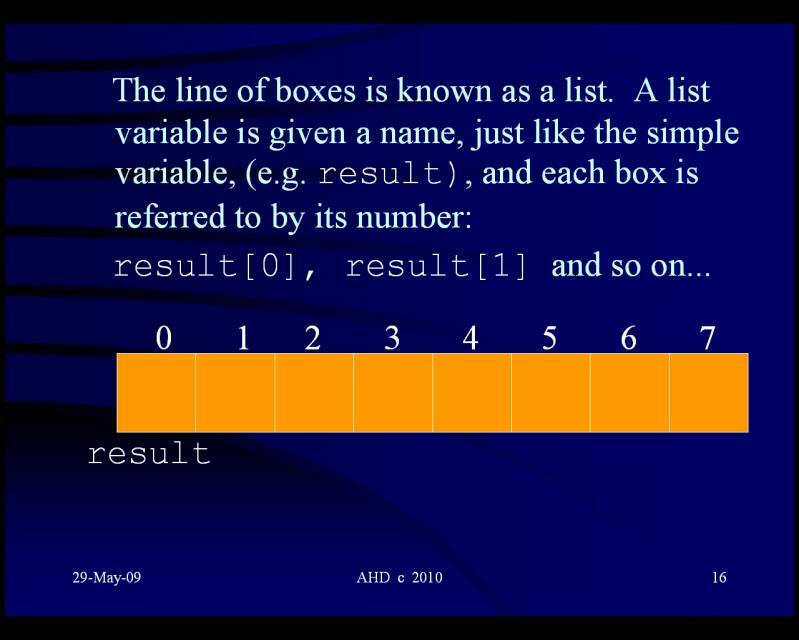 . .
or index of the list element (box). 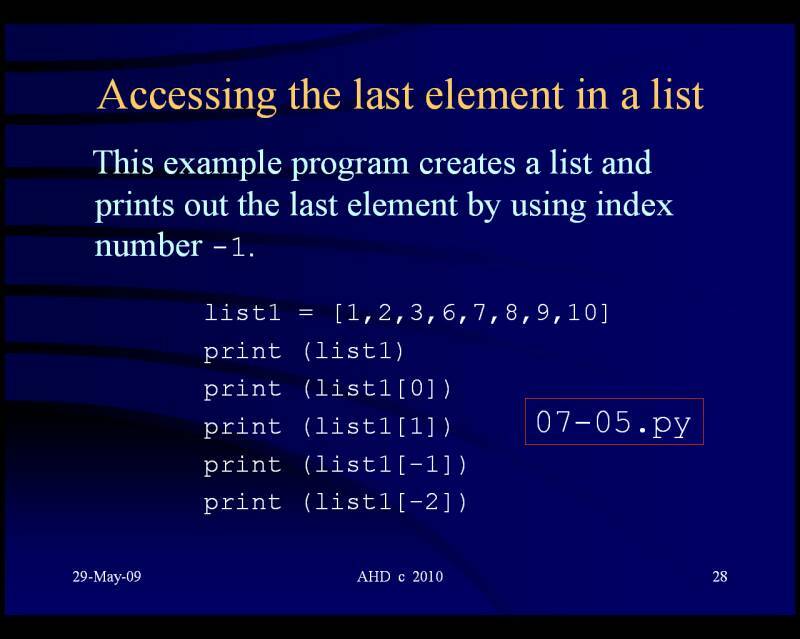 Note: In Python,  the index of a list always starts at 0.
do not need to be all of the same data type. indeed a mixture of any type of object. 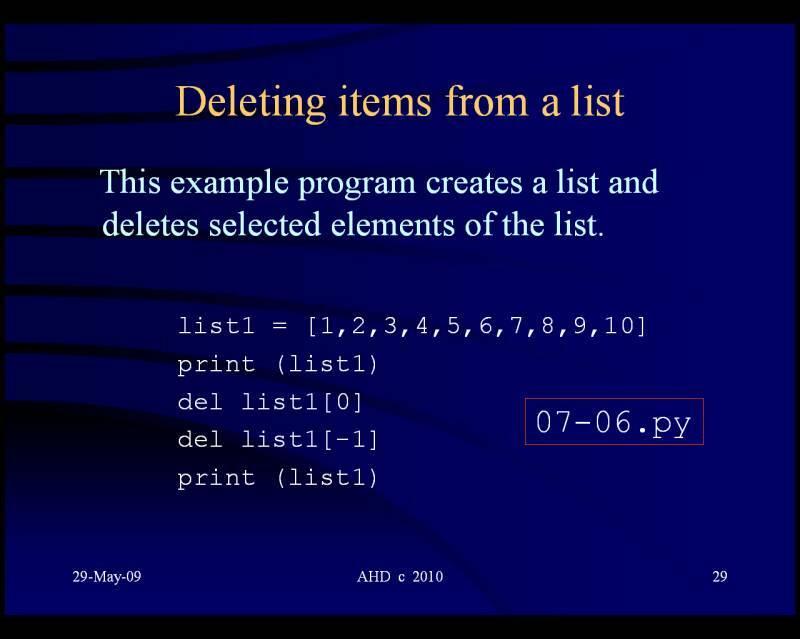 How big are the list elements? An element is one of the boxes making up the list. Each element holds the address of the object to which it refers. 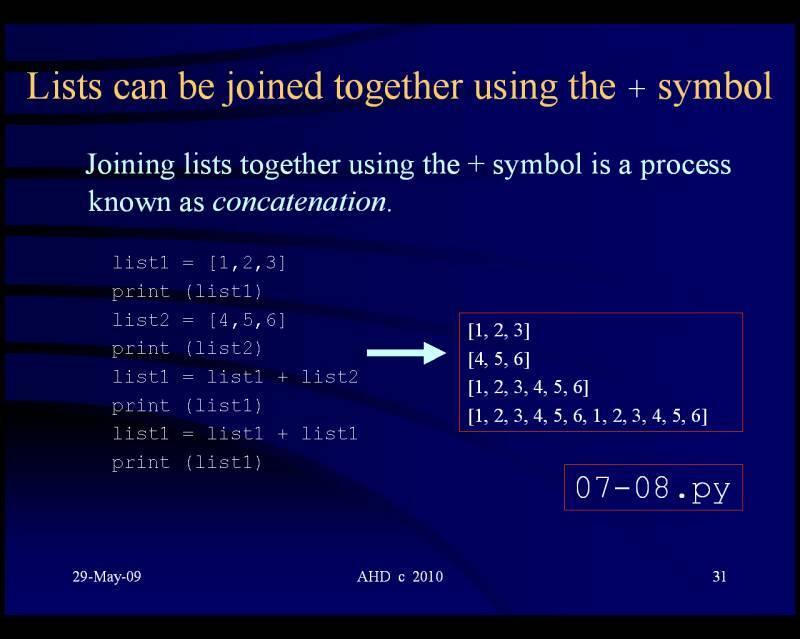 Hence, each element has size in bytes sufficient to hold an address. 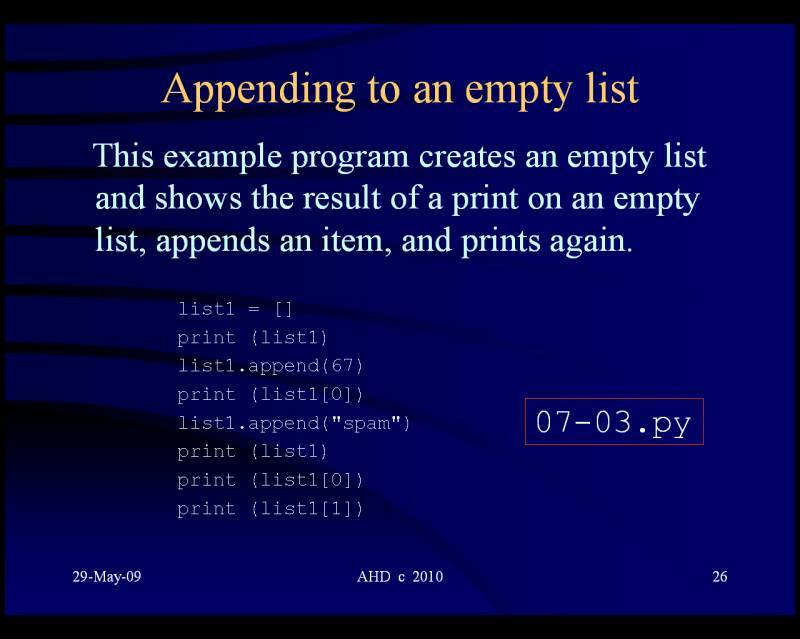 There is an error in program 07-12.py in the following screen. 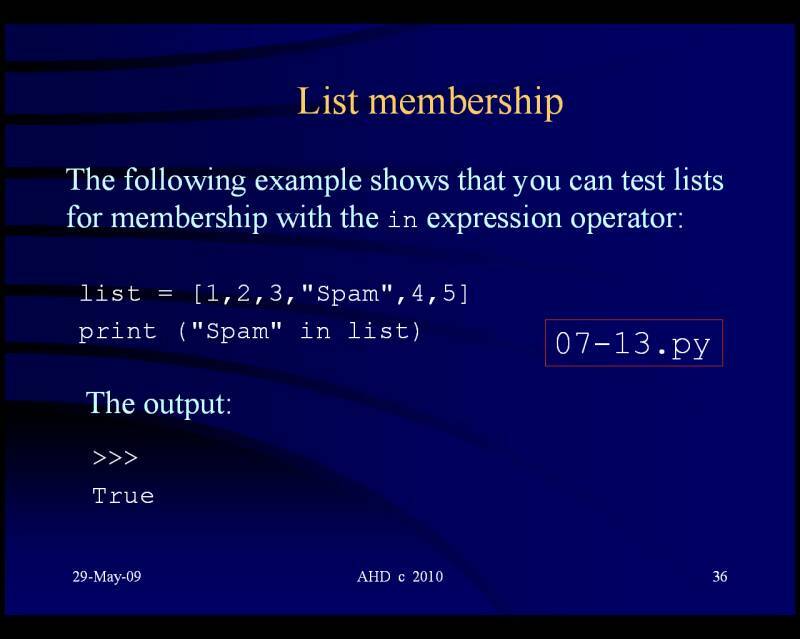 The name "list" should be replaced with "list2". 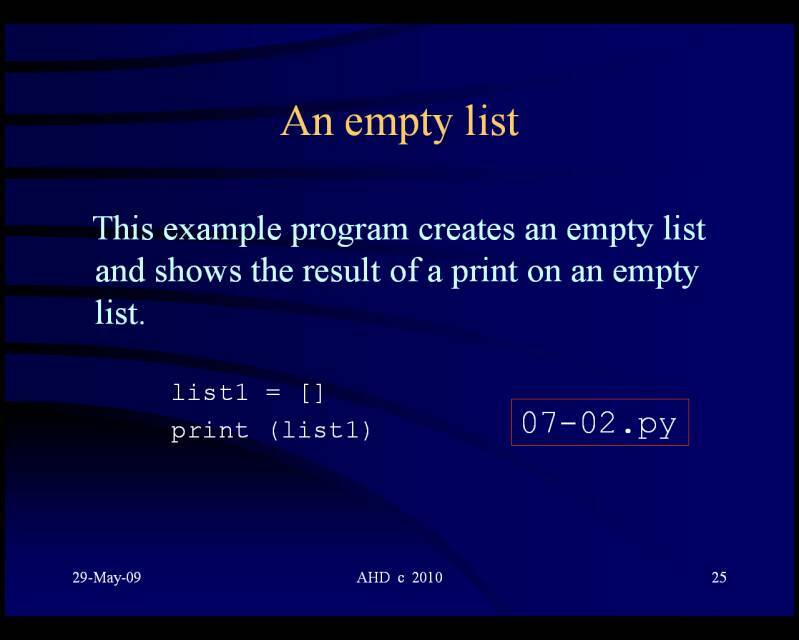 There is an error in program 07-13.py in the following screen.